PIVOTECH Company Limited is a Private Engineering Services Company specialized in Electrical, Civil, Mechanical and ITC disciplines. The company is based in Dar es Salaam, with more than 160 Employees. 1. HUMAN CAPACITY AND ADMINISTRATION MANAGER -1 Position. JOB SUMMARY The candidate should ensure effective Human Resources management systems and processes are established, maintained and measured as well as ensuring staff conducive working environment. General Human Resource Management, Provide guidance on interpretation as well as monitoring their compliance, Ensuring proper record management of all the Human Resource records as well as personnel records of the Company's staffs, Prepare, Update, Review and provide advice on all contractual issues between the company and its employees, vendors and suppliers, Management Recruitment and selection of new Company staffs, Management of leave program as well as performance management of the staffs, Support in preparation of the payroll, confirm accuracy salary and statutory deductions as well as preparing and monitoring the HR activities budget. ACADEMIC QUALIFICATIONS, KNOWLEDGE, EXPERIENCE AND SKILLS. • Holder of Masters majoring in Human Resource Management. • Competence in Tanzania Labor laws. • To Nave Knowledge in Developing Policies and Procedures of the Company. • Should have people management skills, negotiations skills and report writing skills. JOB SUMMARY The position is responsible for ensuring the safe and economical usage of fleet vehicles; planning, acquisition, maintenance, repair and disposal of fleet assets; and oversight of multiple repair facilities conducting fleet maintenance operations. Provide guidance and oversight to the fleet maintenance division in support of the Organization's mission and goals, Assist Top Management in the development of policies and regulations, Provide leadership of the division's vehicle maintenance operation to include the repair facility, and office personnel, and budget at multiple maintenance facilities, Assist Top Management in providing oversight in disciplinary matters, performance monitoring and policy enforcement, Work collaboratively with Top Management to develop and establish policies relating to the acquisition, maintenance and disposal of the Organization fleet assets. • Five (5) years of experience in managing the servicing and repairing vehicles and equipment in a commercial environment and supervisory responsibilities or equivalent experience required. • Comprehensive knowledge of the principles and practices of fleet repair facility management, hazards and safety precautions of large scale operations. • To have Knowledge in Developing Policies and Procedures of the Company. 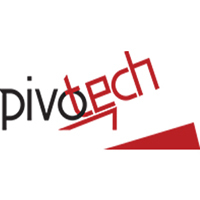 Responsible in receiving, keeping, inspecting, issuing and control Inventories and other business materials used in the conduct of Pivotech Company Limited. Storage, Receiving of stock, Inspecting the stock by touching, viewing, feeling, counting and testing, Control stocks and inventory level so as to provide an information service to management on the stock situation, to keep stock at an economical level, Maintain safety stock so that an unexpected fluctuation in demand or break down of delivery schedules will not resulted in production being halted or stopped. • Holder of Bachelor Degree in Procurement or related Fields. If you are interested; send ONLY your application letter and CV through email; ekileo@pivotechgroup.com, info@pivotech.co.tz or bring a hardcopy at Plots .720 Block G. Mbezi Beach P.O. Box 60225, Dar es Salaam Tanzania. The deadline for submitting your Applications is on 18th January, 2018 at 1600hrs.